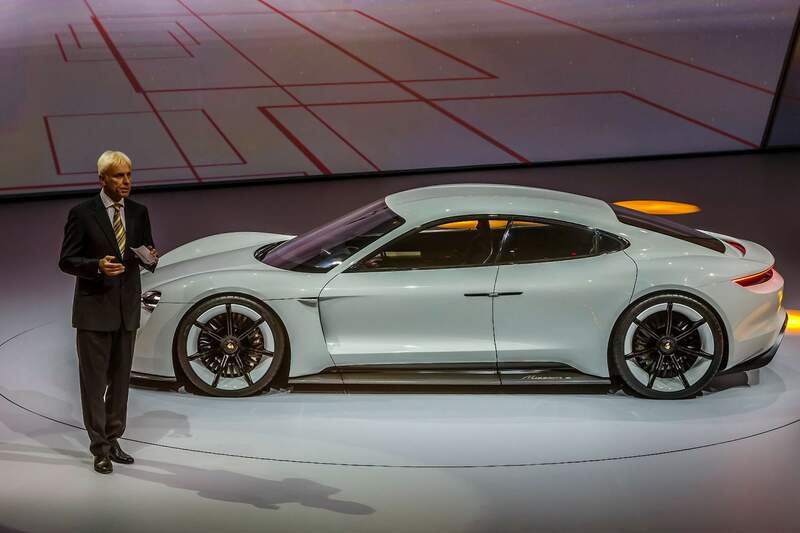 In Frankfurt not announced premiere of absolutely new concept model from Porsche took place. Four-door 100% electric coupe Mission E in the long term can become serious competitor to Tesla Model S and it will be very exciting. Porsche company amazed journalists and VIP-visitors, showing before the opening of the Frankfurt car showroom new unusual concept Mission E. The electric four-door sport car first completely in the history of DM — the demand of Porsche for an input in absolutely new segment where now unconditionally dominates Tesla Model S and where Mercedes-Benz aspires to get. However, the serial embodiment of the car appears not earlier than the end of decade. Thus the first technical characteristics Mission E are already known. The combination from two electric motors gives out in the sum more than 600 HP. With., which it is enough to accelerate more than the two-ton car to 100 km/h in 3,5 seconds and to 200 km/h — less than 12 seconds. These indicators are better, than Porsche 911 Turbo, but slightly concede to charged version of Tesla Model S P85D. However this “German” beats “American” at least under two important indicators. 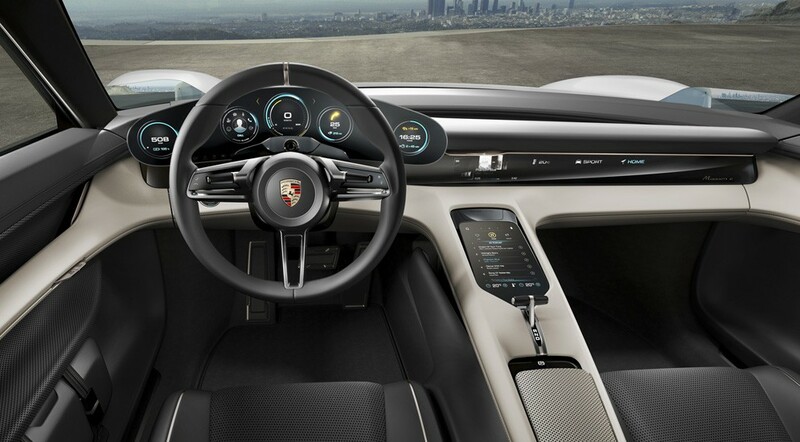 According to Porsche, Mission E it is capable to pass, without additional charge, more than 530 km, and to charge the battery to 80% of its capacity only takes 15 minutes. The special charger with pressure in 800 volt, developed by Porsche specially for this purpose and for this car, however, is required. The battery with the liquid cooling, located under a floor within a wheelbase, gives to the car the low center of gravity and excellent equation. 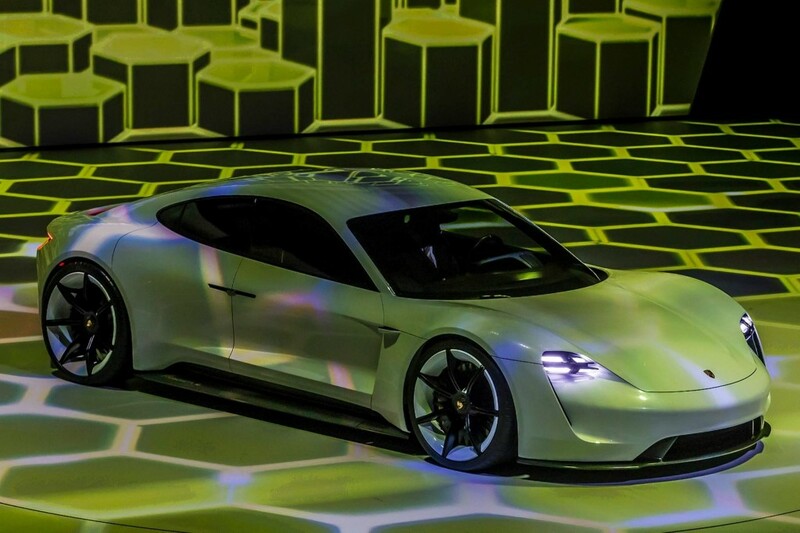 We can expect the serial version of Porsche Mission E close by 2020, but still before this release we see many lines adding electric versions and one of the following generation Panamera going to be more nature friendly by adopting latest hybrid technologies developed by Volkswagen AG. I love the fact that all old school sports car brands are starting to look to latest technologies and we can be sure that after 10 years we will have them on roads everywhere and we will no longer need gasoline to enjoy the ride with the luxury sports cars, it will be better for all of us and to the world.